As each new day arrives in Orange County, CA, thousands of potential new entrepreneurs are starting to plan and dream just how their new business start-up will proceed, and just how successful they will be. As almost every seasoned entrepreneur will attest to, it takes that special kind of person to make the decision to go into business on their own. The ability to put in long hours, overcoming one’s fear of failing and the one trait all successful business owners have, even when it seems there is no light at the end of the tunnel, they refuse to give up on themselves, that their dream is still alive and there is no such thing as quitting and giving up. Now if you are this type of person, the “Entrepreneur World” would love to welcome you to its club. Have You Caught Start-Up Fever? It has been widely claimed that in terms of starting a new venture, it is incredibly easier today then it was twenty or thirty years ago and we can thank all the advances that the internet has provided for this. Also, when it seems that every idea possible for a new start-up has been explored, here comes a new wave of incredible ideas for start-ups that only a few years ago, would have never been thought of. This is what makes being an entrepreneur in this day and age so exciting. If one just looks back a mere twenty years ago, you can truly appreciate just how far the business world has come along. Think about all the companies, apps, etc. we use and work with every day, some of these weren’t even around a short twenty years ago. Makes one wonder what new and exciting things we will use and discover in the next twenty years. At one time or another, almost everyone has had an idea for a new product, service or a company, but it’s those few brave souls that have the passion and drive to take it from an idea or thought into a reality. If you are this type of person, we understand that the road ahead will be filled with many long hours and hard work to make you dream a reality. Regardless if your new venture is in the product development area, website hosting and design, health or dietary products, app developer, beer, wine, or spirits distributor, contractor, consultant, software designer, manufacturing, health care field, the medical device field or one of the many opportunities that are out there, the desire to protect your new venture is always a shared trait of all business owners and that is where PJO Insurance Brokerage can be most beneficial in helping your new venture find the proper insurance program. The first type of insurance coverage that most new ventures will consider is Orange County General Liability Insurance Coverage. While this is an important first step, please be aware that this type of insurance will not cover all the company’s various potential risks. Many times new business owners think that one insurance policy will cover all potential perils, this is simply not true. 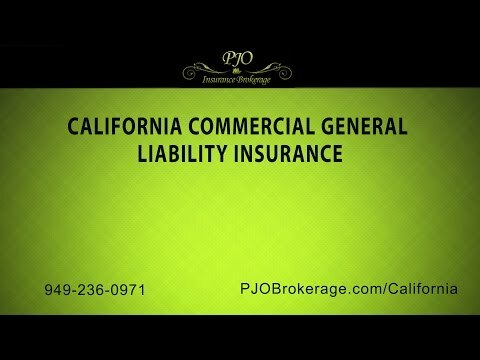 If your new start-up is that of product distributor, manufacturer, manufacturer’s rep, or a retailer, it is extremely important that you have proper Product Liability Insurance Coverage in Orange County as a major piece of your insurance program. Also, depending on the product, it would be a wise decision to also acquire an Umbrella Liability policy as well. With the possibility of your company having a lawsuit or claim filed against it concerning its product has a better than average possibility of happening, your first priority should be to have the proper insurance program in place. If your start-up is one that will provide a professional service or advice, such an Engineer, Consultant, Software or App designer, Architect, to name just a few, having an Errors and Omission Insurance, along with General Liability Insurance Coverage as well, will be helpful to protect your new start-up. Depending on what type of start-up venture you are involved in, you may also want consider such additional coverages to add to your overall insurance program as Property Insurance, Cyber Liability Insurance, Environmental Liability Insurance, Directors & Officers Liability Insurance, Inland Marine Insurance, Employment Practices Liability Insurance, Environmental Liability Insurance, and Workers Compensation Insurance, which are just a few of the insurance coverages that are available for your particular start-up venture. When starting out, it would be in your best interest to consult with a Professional Insurance Broker to develop a proper insurance program to fit your particular start-up’s insurance needs. Also, we encourage you to make sure the Insurance Broker is made aware of all the potential risks that could harm your company, so the Insurance Broker can make sound recommendations. With PJO Insurance Brokerage’s more than fifty years’ experience, we would welcome the opportunity to work with you concerning your insurance needs.